February 2018 saw the second edition of the Round Feather Academy, where five of our Round Feather colleagues got together with five Masters’ students from Delft University of Technology in the Netherlands. The outcome? A fusion of diverse ideas and cultures by a team comprising 7 different nationalities and 5 languages, as they spent two fun and intense weeks of learning by doing in the city of Rotterdam. What is the Round Feather Academy? The Round Feather Academy is intended as a playground for young talent from the best universities worldwide, providing them with a canvas to express their passions and hone their talents from their respective areas of expertise. 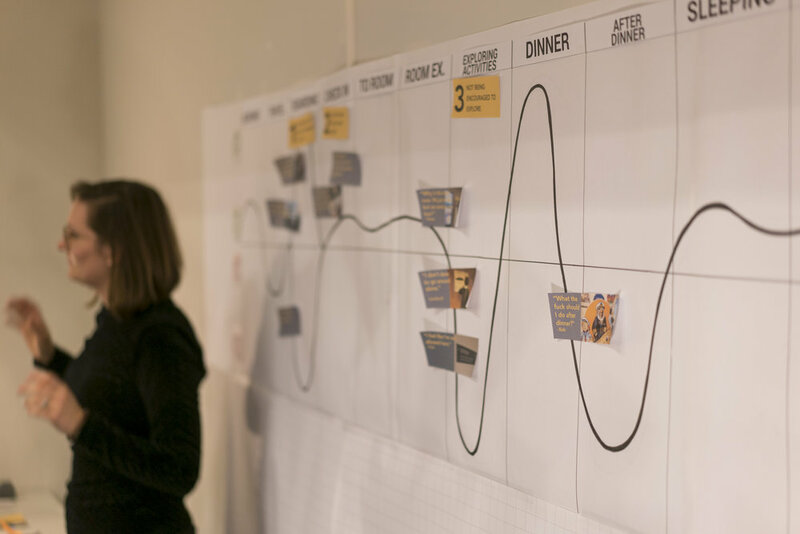 During the Academy, participants work (and even stay) together as they familiarize themselves with the Design for Happiness methodology – which lies at the heart of what we do – and apply their new-found learnings to tackle a real-world client challenge. More about the Academy here. The Client - a historical cruise ship! The SS Rotterdam is a historical cruise ship that used to ferry travelers between the port cities of Rotterdam and New York. Now permanently docked in Rotterdam, it functions as hotel, restaurant, entertainment, museum and conference location. It was built after World War II as a sign that the war was over, and the Dutch could once again build things that inspired, in the aftermath of all the destruction. The SS Rotterdam has come to represent the pride of the people of Rotterdam. It began with a simple prompt: Research the current experience on-board the SS Rotterdam and propose innovative ways to make this even better. 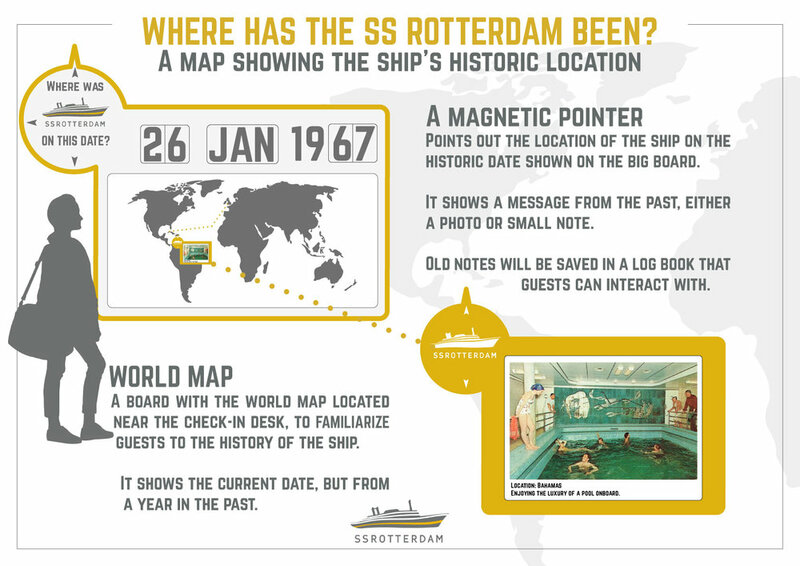 To start with, the team had to understand the emotions and perceptions of guests staying on the SS Rotterdam. They conducted immersions to unearth deep concerns and pain points, discovering hidden dilemmas arising between conflicting concerns. The team then translated their insights into four concept proposals aimed at improving the experience for guests aboard the ship. “The things you did from Wednesday until now is great. After analysing the immersions, the team synthesized concerns and classified them into broader themes. The team then identified the dilemmas that arise as a result of opposing themes that conflict with one other. Each dilemma is built from insights gained from across multiple respondents, reflecting the broader concerns felt by the target group and how they conflicted. To bring these dilemmas to life, they were illustrated by the stories of our respondents. Some examples of discovered dilemmas are provided alongside. This is about making guests on board the SS Rotterdam feel special through storytelling. Every guest would receive a welcoming wax-sealed postcard in their room when they first arrive on the SS Rotterdam, narrating the story of the ship. The postcard bears a historical photograph from inside the ship, encouraging the guest to explore and make a connection between reliving history and modern luxury. To make the connection between finding my own way and being guided, the map of the ship was redesigned to allow guests to know where they are at all times, in addition to finding out what they can do within the ship. One side is a functional map, highlighting the staircases and important locations like restaurants. The other side is an exploratory map that showcases historical aspects of the ship while also making guests more comfortable exploring, thus addressing the dilemma of discovery vs security. The third concept aimed to orient the guests to the uniqueness of the ship from the beginning of their experience. “Yesterday is Now” is a bulletin board that you see when you first enter the ship that tells you something about how the day that you find yourself on the ship relates to the same day in the past. This would encourage guests to explore the ship, making them relive history while feeling like a guest in a luxurious hotel. The SS Rotterdam is called “The Ship of a Thousand Stories” and the tour guides are largely comprised of people that were once staff/crew of the ship. By juxtaposing these stories along with stories of current guests on the “Wall of Memories”, the guests feel like they are part of the ship’s memories, while also providing an incentive to come back for more. By means of recorded voices, these unique memories are kept more permanently. This concept aims to help guests relive and add to the ship’s history while still enjoying its luxury. Reflecting back on the Round Feather Academy, the team not only got to apply their newly-learnt methodology to solve an interesting challenge for a client. They also went through a slew of experiences themselves, which besides all the fun, also helped hone their skills in nurturing empathy, relating to emotions and articulating findings through powerful, coherent stories. As part of the Academy this year, the team delved into what it means to be empathic. It maybe seen as a gift that everyone innately has, but it needs to be nurtured. But empathy cannot be developed merely by studying it; for it not only involves thought, but also feeling – which calls for a more experiential approach. To this effect, the team spent time on the underlying theory as well as putting the art of empathy to practice. They even had a session with Johnny Schoofs, a dance teacher from a premiere dance school in Rotterdam, who trained them through practical exercises on listening and building empathy. 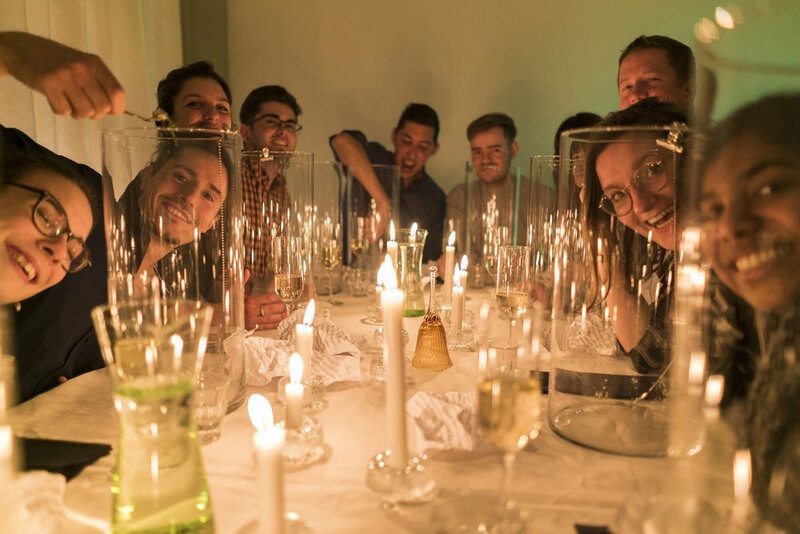 The team was treated to a very special dining experience – an emotion dinner. Each course of this dinner was crafted in such a way that it elicits a specific emotion and members had to share a personal story related to that emotion. Intimate stories were exchanged; smiles and tears made for a powerful experience. It broke down any remaining barriers between team members, bringing them even closer than they’d gotten over the past couple of days. Besides, it helps to understand and empathize with emotions to be able to effectively derive underlying concerns from them. And what better way to do this than to experience these emotions first-hand and reflect? Sounds like a strange quote, almost a paradox, right? Besides, shouldn’t we be telling the client what they don’t already know? Well, unlike a typical client, the staff of the SS Rotterdam are always amidst their customers on a daily basis, closely in touch with their varied expectations and concerns. Nevertheless, the depth of the team’s findings from spending less than two weeks resonated really well with what the client already knew from their experience. This was a great validation of the insights uncovered. Despite knowing all of this, the client was impressed by how the team discovered these scattered concerns, brought them together to form coherent stories and articulated them in an inspiring, actionable way that led to defined concept proposals. The client found this eye-opening, appreciating the rich synthesis and outputs. The Round Feather Academy is meant to be a playground for young talents from the best universities worldwide, providing them with the canvas to express their passions and cultivate their talents from respective areas of expertise. The outcome of the Academy is to scale Round Feather’s reach across the globe, providing fresh talents for our rapidly expanding practice of Design for Happiness.